Trinity Health was on track in 2017 to issue $380 million in tax-free bonds by year’s end to finance a new hospital and medical park in southwest Minot. Anticipating construction to begin in earnest in the spring, Trinity sought approval from the Ward County Commission in November to issue Health Care Revenue Bonds. The county commission previously approved up to $63 million for Trinity in August to refinance existing long-term debt at a lower interest rate, and to cover preliminary construction costs as a first step toward the construction. The re-financing provided some funding for the initial earthwork, including the completion of three roads. Contractors also erected fencing around the 42-acre construction site. Other acreage in the 72-acre site is for future expansion. 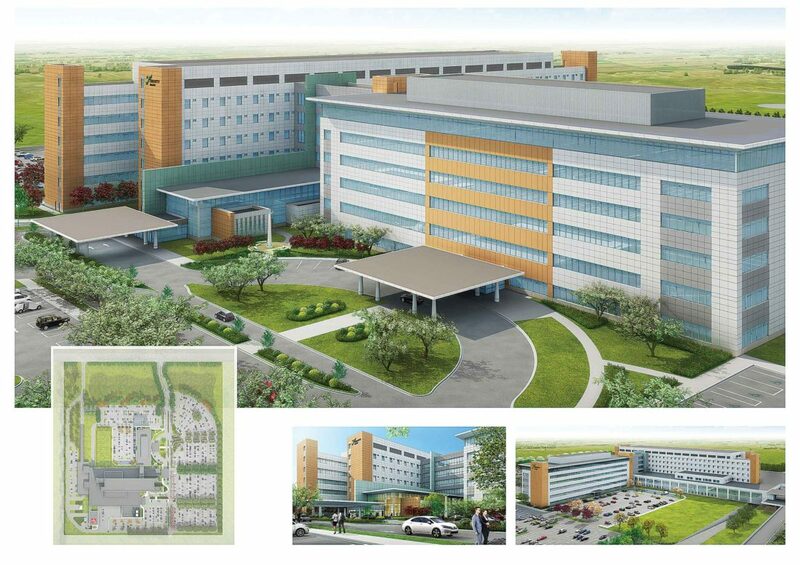 The second bond issuance will be used with operating funds and private philanthropy to finance construction of the new healthcare complex, including architectural, construction, equipment and other costs associated with the new campus buildings. Trinity, as a not-for-profit organization, has no owners, shareholders or investors so any earnings are re-invested into the community in the form of new facilities, technologies and health programs, according to Trinity. The organization is governed by a board of directors, consisting of residents of the region who serve without compensation to provide leadership, strategic direction and feedback necessary to respond to community needs. Also as a 501c3 not-for-profit hospital, Trinity is able to pursue bonds under Tax-Exempt Private Activity Bonds rules. Hospitals must go through a “conduit issuer,” such as a county or city. Trinity has elected to go through Ward County on previous and current bond issues. The county incurs no debt obligation. Approval simply allows Trinity Health to issue tax-exempt bonds, which are a less expensive way to finance projects. Bonds are secured by Trinity’s revenues and assets. Ward County is insulated from any liability and is paid a fee for providing conduit service. Raymond James & Associates is serving as underwriter in Trinity’s bond sale. Last year, Trinity spent $23.2 million on buildings and equipment, $144.2 million on goods and services and $214.2 million in payroll. The total direct impact on the region in 2017 was $381.6 million, with $63 million indirect impact, for an overall impact of more than $444.5 million. That impact will grow with the new medical complex. “This initiative is not only about improving the future of health care in our region; it is about investing in the future of the northwest region of North Dakota. 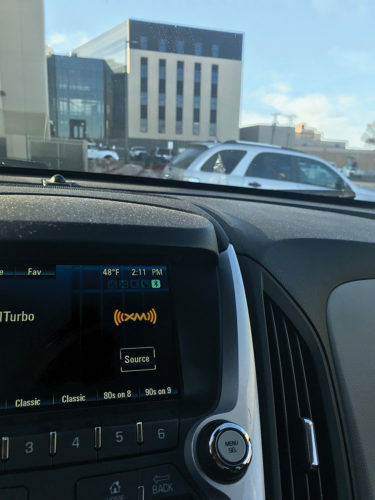 This investment is slated to be the largest private economic development initiative in western North Dakota and will generate hundreds of new jobs,” Trinity stated. The project calls for a connected six-story hospital and clinic building. Plans are for 208 beds, including 157 nursing beds, a 20-bed intensive care unit and an emergency/trauma center with 27 treatment bays. The site will include more than 1,900 parking spaces. Teams of Trinity department leaders have worked throughout the year with the project manager, Yates Construction, and architects and other contractors to refine the project. 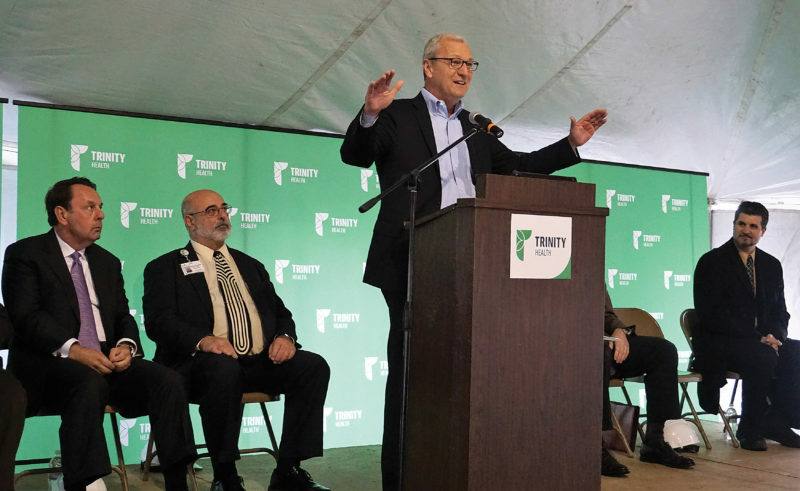 Trinity announced in March that it was discontinuing its relationship with its original construction manager, Mortenson Construction of Minneapolis. 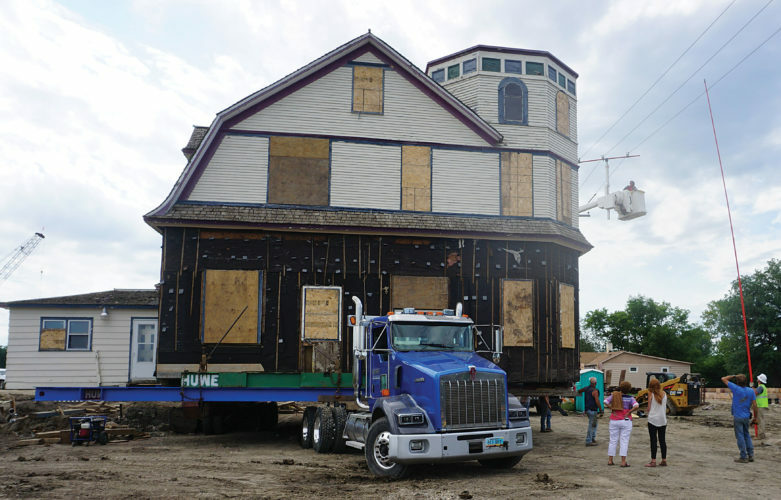 Project costs produced by Mortenson were significantly higher than expected. Trinity contracted with Yates in April. The North Dakota Health Department must weigh in on the final plans to ensure the project meets state health rules. 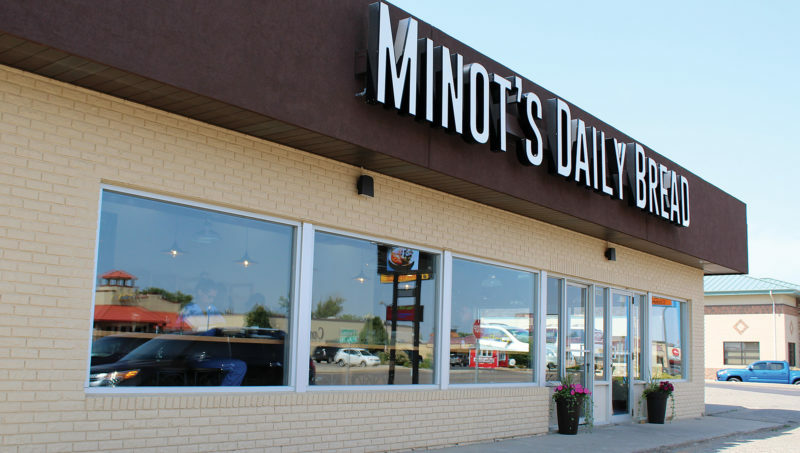 Trinity will continue to have a presence in downtown Minot after the construction, although there may be movement of services and personnel. Plans are to continue to provide primary care at Medical Arts Clinic and to maintain services in Trinity Health East. Trinity Health West would provide out-patient care. Cancer care and advanced imaging would remain at Trinity-Town & Country. While providing health care is a key function of the medical center, Trinity also demonstrates its nonprofit mission to benefit the community in a number of ways. These include conducting a community health needs assessment, implementing strategies to meet identified community health needs, providing a wealth of free education to consumers to improve health and quality of life in the community and providing charity care and other uncompensated or under-compensated care to members of the community in need. Trinity operations that are part of its non-for-profit mission aren’t taxed, but any leased facilities, such as medical office buildings, or businesses, such as pharmacies, are taxable. Last year, Trinity paid $278,278 in property taxes to Ward County and $285,500 in total property taxes, which includes taxes paid on properties in other counties. A number of leases include property taxes in the monthly payment so about $100,000 gets paid indirectly. Trinity also paid nearly $300,000 in sales taxes last year.